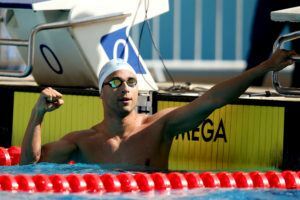 Swim like an Egyptian was the motto in the men’s 100m freestyle on day 2 of the 2018 German National Championships: Mohamed Samy and Ali Ahmed Khalafalla entered the podium, winning the silver and bronze medal. Samy set a new personal-best time in 48,92, his first performance under 49 seconds. Khalafalla took the bronze medal (50,23). Nonetheless, the title remains in Germany: Damian Wierling grabbed gold in 48,89. Annika Bruhn made a statement in the 100m freestyle with a new lifetime-best of 54,13. She was 1,03 seconds ahead of silver medalist Reva Foos (55,16). There is a change of thrones in the German breaststroke events. Melvin Imoudo (19) and Anna Elendt (16) held the scepter in their hand in yesterday’s 50m and today’s 100m competitions. Imoudo took the win with a time of 1:00,66, Elendt was clocked at 1:08,79. In the men’s event, Christian vom Lehn hasn’t reached his ground speed from last year when he set a new personal-best time in 59,47. Today, he grabbed silver in 1:00,71 ahead of Marco Koch (1:00,94). 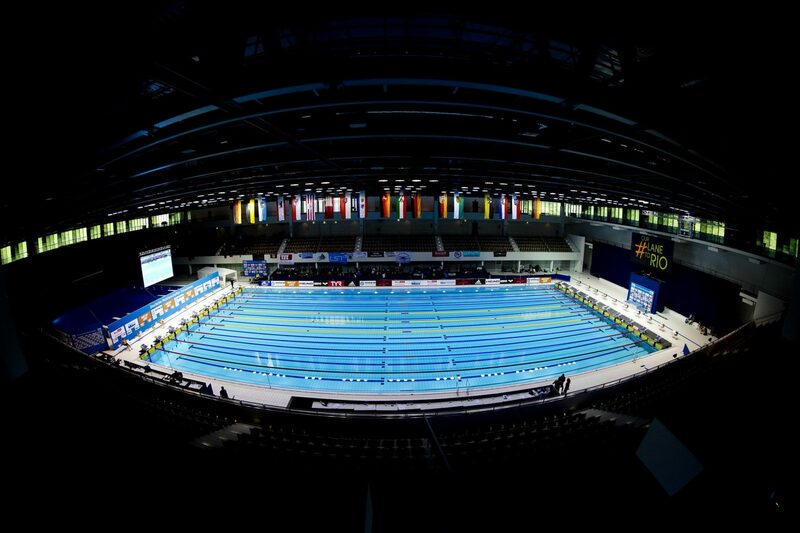 Koch will try to take off to Glasgow in his signature event, the 200m breaststroke. Koch didn’t crack the required nomination times during the qualifying period and has a last chance tomorrow to get a ticket to the European Championships. Ramon Klenz received his second gold medal after his victory and German National Record in yesterday’s 200m fly. He set a new lifetime-best in the 400m IM in 4:18,68. Silver went to Johannes Hintze (4:22,38). Hintze won the gold medal in the 200m IM at the 2017 Junior World Championships. Juliane Reinhold stepped on top of the podium in the women’s 400m IM (4:44,32) followed by Kathrin Demler (4:47,48) and Franziska Hentke (4:49,67). Liechtenstein’s Julia Hassler touched first in the women’s 800m freestyle with a time of 8:33,02. That was not far off her personal-best ((:32,86). Celine Rieder established her personal record at the European Junior Championships two weeks ago in 8:32,54. She picked up the silver medal (8:38,43) today. In the men’s 800m freestyle, Florian Wellbrock did what was necessary for the win. He swam the 16 lanes in a time of 7:51,58. Wellbrock is the German Record Holder in this event, he set the record at the Stockholm open in April. Poul Zellmann collected silver in 7:54,09. 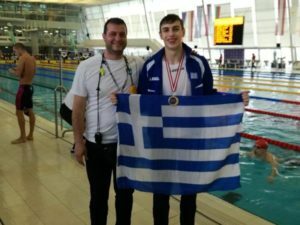 A German age group record went down in the men’s 50m butterfly. 2001 born Luca Nik Armbruster signed himself into the record lists with a time of 24,02. Former record holder Jonas Bergmann took the bronze medal tonight (23,97) behind David Thomasberger (23,93). Damian Wierling was honoured as the winner, clocking a 23,54.